A former general secretary of the Association of Teachers and Lecturers has died at the age of 65. Peter Smith died on Friday at the Royal Marsden Hospital, Sutton, where he was being treated for oesophageal cancer, his family announced. He began his career as an English teacher, and joined the ATL as general secretary in 1988. 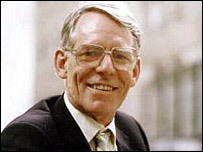 He retired from being general secretary in 2002, and was awarded a CBE for services to education in 2003. Under his leadership, the organisation's membership tripled. Current general secretary Mary Bousted said: "He turned the ATL from being a small association for grammar school teachers to being a major player in the union world with a huge increase in membership and influence across the political and policy world." It now represents more than 160,000 teachers, lecturers and education support staff.